This guide is designed to help you incorporate information literacy learning objectives into your classes and to make the best use of library services available to you. Students may encounter the ideas of others in a variety of texts generated both inside and outside the classroom: print, visual, aural, oral, spatial. Students learn accepted and ethical ways to integrate other texts into their work, rightly handling citation and adaptation. Students use writing as a critical thinking tool. As defined by the Association for College and Research Libraries' Framework for Information Literacy Information literacy is "the set of integrated abilities encompassing the reflective discovery of information, the understanding of how information is produced and valued, and the use of information in creating new knowledge and participating ethically in communities of learning." 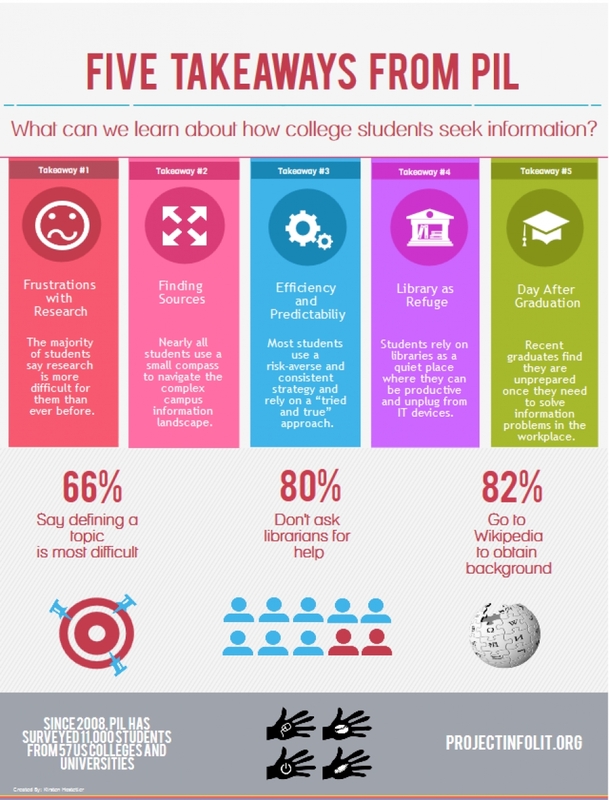 Project Information Literacy has done extensive research on college students' research skills and they produced the graphic below. One that may be of particular interest to you is How Freshmen Conduct Course Research Once they Enter College. 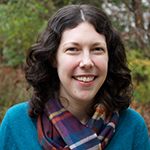 PIL also interviewed Barbara Fister, a Professor and Librarian who has been outspoken "about the shortcomings of research paper assignments and how research, reading, and student learning could and needs to be re-imagined."